Am I alone in asking myself, “What? Another one?” when I saw Preppy Princess on the shelves? How many princesses does the Vera Wang line have now? I think we get the theme, especially seeing as most of the Princess fragrances tended to smell really similar so that if you owned the original Princess, there really wasn’t much point in owning most of the others. But hey, Preppy Princess is another smelly adventure. In Bottle: Sweet red berry-like scent. There seems to be a lot of berry openings in my reviews lately, what is up with that? In either case, the fact that Preppy Princess opened with a sweet berry scent doesn’t set it apart from the other berry scents I’ve reviewed lately. Applied: Berries with a splash of citrus up top. Everything is sweet and girly and rather dull at the moment. Not exactly a good first impressions of Preppy Princess but it isn’t an unpleasant experience. I just feel like I’ve done this a hundred times already. So as the fragrances ages further and heads toward its midstage, I get a little bit of a floral kick only there’s jasmine in this and some equally non-descript florals. So all I get in the end is a generic flowery smell that doesn’t help Preppy either. The dry down smells like a mild coconut note mixed with sandalwood and amber or something. Extra: So we’ve got five princesses now, I think. I can only hope things stop here. I can’t imagine what other princesses there could be that would inspire someone to compose another generic fragrance and slap it into a heart-shaped bottle. 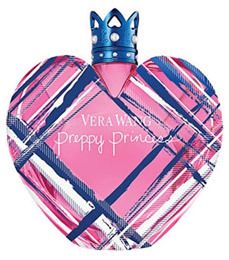 Design: Preppy Princess, aside from the stripey lines on the glass and blue cap, is pretty much the same design as the other Princess fragrances from Vera Wang. It’s, once again, aimed at a younger audience than me and I can’t see the aesthetic appeal of the bottle. But at least you can use the cap as a very pointy ring. Notes: Tangerine, apple, berries, jasmine, honeysuckle, woods, coconut. Hooray, I survived another Princess fragrance. It’s as generic as it can get. The opening smelled generic. 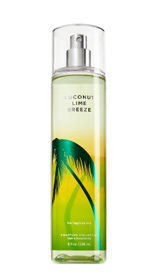 The midstage smelled generic, and even the coconut in the base couldn’t help this one out. If you already own one of the other Princess fragrances–and unless you just love collecting the bottles–then I’d say skip this one. There’s far better fragrances out there. Reviewed in This Post: Preppy Princess, 2011, Eau de Toilette. 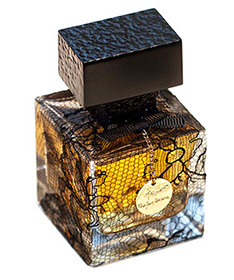 Betsey Johnson’s fragrance is a polarizing affair with fans and dissenters alike. I just happen to be on the dissenter side. Even though I see what Betsey Johnson is trying to do with the kitschy design and equally kitschy fragrance, I just can’t say that I like it. 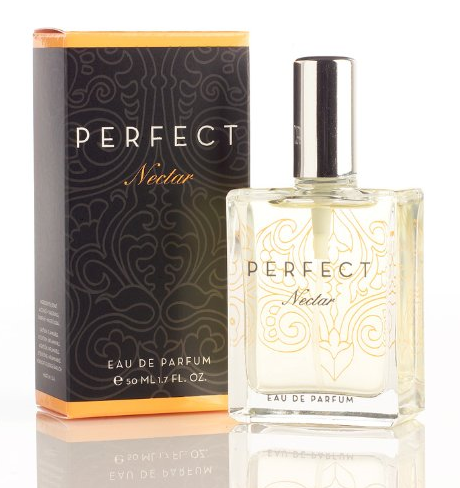 In Bottle: Incredibly sweet and floral with a bit of musk. 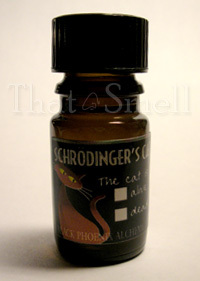 A rather discordant fragrance with a fruity hint and a strange medley of scents that don’t play nice with my nose. Applied: Opens with a very sweet blackcurrant and citrus fragrance that quickly introduces the florals and a very sweet and very obvious freesia note. The apple wiggles in with the midstage and turns up the fruity side of this fragrance a few notches. It’s sweet and flowery and smells a bit synthetic and cheap and very cloying as the fragrance just continues to amp up on the sweetness the longer it sits on my skin. 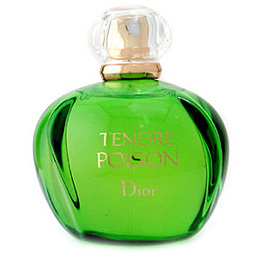 When the base notes arrive there’s a bit of sugary woodsiness that mingles with the equally sugary floral. Extra: Betsey Johnson’s style has always been bright and colorful and pop artsy. I can’t say I’m a big fan of it, but the fragrance and the design itself do reflect these aesthetics. 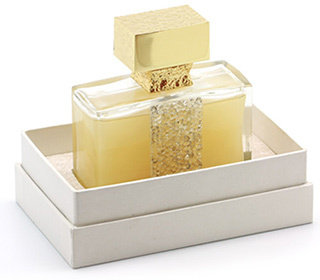 This particular perfume was created by noses Mathilde Bijaoui and Bernard Blanc. Design: The bottle for Betsey Johnson is just about everything I don’t like in a design. It’s big and girly and flashy and bright and pretty much the epitome of kitsch. I don’t like the aesthetics and think they are a little ridiculous but rest assured, the bottle was designed to look like this. I just don’t like the look at all. 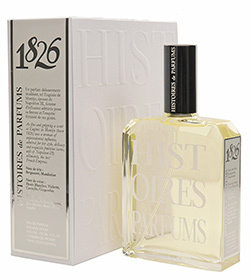 Notes: Grapefruit, blackcurrant, tangerine, pear, freesia, lily of the valley, apple, sandalwood, amber, musk, cedar, praline. So all in all, this fragrance just isn’t for me but that shouldn’t stop someone else from looking this one up. It’s got a nice fruity floral with a very sweet tooth. 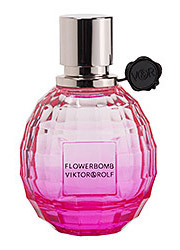 If you love fruity floral and sweet scents, try this stuff out. 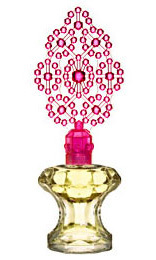 Reviewed in This Post: Betsey Johnson, 2008, Eau de Parfum.